Gujarat Assembly poll: Will Congress really be able to give a quota to Patidars? Any deal with PAAS would have to obey the Supreme Court-dictated fiat that the overall quantum of reservation in any state should not cross the existing ceiling of 49 per cent. CHENNAI: Patidar leader Hardik Patel has entered into a dalliance with the Congress for the upcoming Gujarat Assembly elections in pursuit of his demand for a quota for his community in jobs and education. While pre-poll agreements are made expressly with an eye on elections, their implementation after the polls is a factor fraught with uncertainty. Any deal with the Patidar Anamat Andolan Samiti (PAAS) would have to obey the Supreme Court-dictated fiat that the overall quantum of reservation in any state should not cross the existing ceiling of 49 per cent in aggregate for the Scheduled Castes, Scheduled Tribes and Other Backward Classes. Gujarat already has 49 per cent reservation — OBCs (27 per cent), SCs (7 per cent) and STs (15 per cent) — just one per cent below the ceiling. There are three options for any promise made to the Patidars to work. People who earn an annual income of less than Rs 1 lakh fall in the economically backward class category (EBC). These are not counted among the Other Backward Classes (OBC), a category that includes citizens who come from socially and educationally underprivileged sections. The Congress had earlier offered 20 per cent reservation for Patidars in the EBC quota and a private member’s bill was introduced for that purpose but the BJP opposed it. However, this was not the first time that anyone has tried to bring the Patidars under the EBC quota. A similar attempt was made by the BJP in 2016 when then chief minister Anandiben Patel passed an ordinance decreeing a 10 per cent quota for the community. The move was quashed by the Gujarat High Court, which ruled it unconstitutional. So, the chances of this option being taken are less. Among the four sub-groups of the Patidar community, two — Kachia Patels (vegetable sellers) and Anjana Patels (who claim descent from Kshatriyas and Jats) — are already part of the OBC list. The other two sub-groups, Kadva and Leuva Patels, are the ones who are agitating for reservation. The OBC category takes 27 per cent of the total reservation in Gujarat, and the demand for inclusion of all Patidar sub-groups in the OBC could disrupt the present quota calculus in Gujarat. This, in fact, is the main demand of the Patidar Anamat Andolan Samiti (PAAS). 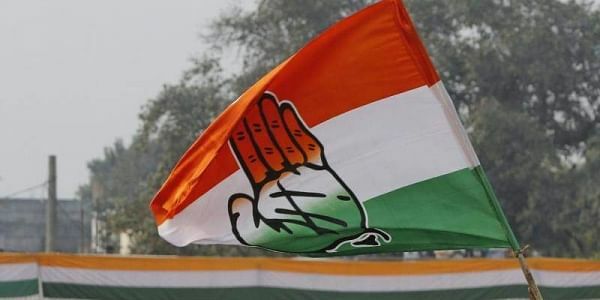 The Congress could suggest a quota for the Patidars under a new class, as was done by the Haryana government for the Jats and five other communities under a new Backward Class (BC) category. Whatever the Congress’s has to make sure that the quantum of reservation does not cross the threshold of 50 per cent reservation set by the Supreme Court. In October, when the Rajasthan government attempted to pass the Rajasthan Backward Class Bill in a bid to provide an additional 5 per cent quota for the Gujjars and four other communities, the state High Court stayed the bill citing the 50 per cent cap. Also, when the Haryana government passed a similar bill in March 2016, seeking a 10 per cent quota for the Jats and five other communities, the Punjab and Haryana High Court confirmed the bill’s validity but stayed its implementation. In sum, the Congress-Patidar partnership has to play within a headroom of 1 per cent at best.